Every second person you meet would be discussing about his fears to visit a dentist. We often pay a lot of attention to our looks but forget about our teeth gums. Similarly, we visit a doctor even for common cold but avoid going to the dentist even if they are going through a severe pain. This is simply because of the fear of dentistry. People often feel helpless in front of the dentist and are not able to identify with the fact that they are medical professionals who would help you in looking and feeling much better about themselves. Childhood fears can also be the reason why many people avoid the dentists to the extreme of facing tooth loss and tooth decay. Now, let us tell you that people do not get injured because of dental practices. The dentist would not hurt you with his big scary tools. He is there to help you, if you let him do so. 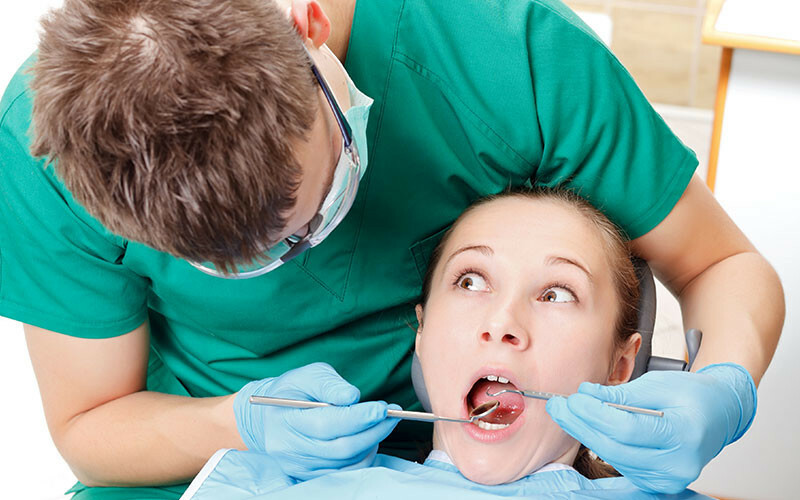 Here are a few ways in which you would be able to overcome the fear of dentistry to a considerable extent. Make an appointment with the doctor and do not go for any checkups or anything else. You can simply go and meet him and discuss your issues with him. If you don’t feel comfortable, let the dentist know. He would probably understand the reason behind your anxiety and would not force you for a checkup. Instead, he might suggest you some ways in which you would be able to handle your dental problems. Whine you start using his methods, you might notice a change and prefer to go for a complete checkup. Meet him more frequently and get friendly with his staff as well. Your anxiety would be gone when you are amongst familiar people. Talk to them with a smile and always be ready for a quick chit-chat. This shall help you a lot in feeling calm and relaxed with the doctor as well. The dentists have a hidden talent- they are good at making friends. You would likely be able to get a lot of attention from him as friend as well. Don’t go alone- ask someone to come along when you feel disappointed or nervous. You would feel more secure in this environment and it would likely be possible that you would be able to gather more strength to familiarize yourself with the place as well as the people. Previous PostKnow More About A Dental ExamNext Post What Can Doctors Share Online?